When the beloved cat suddenly marks all over the house, that’s annoying and becomes a big problem in the long run. Cats are lovable creatures, they are extremely smart and depending on the breed very affectionate. Cats can also be very complicated for this one urine marking reason as well. 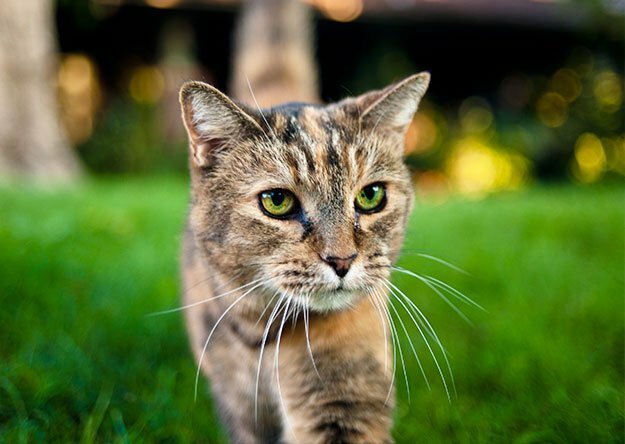 Whether indoors or outdoors, cats only urinate in places where they feel safe and comfortable. They also prefer hidden locations where it’s neither noisy nor cold. But “Why” and “When” starts the female and male cat to spraying and urinating? Why Are Cats Spraying Or Urinating? Most of the time, cats want to mark and communicate their territory with a urinary scent marker. The marking behavior can have psychological or physical reasons. Many cat friends know the problem. The kitten or cat begins to mark in the apartment in different places for no apparent reason. The scent marker is meant to signal other associates that there was a cat here and claims to own this area. Information about the cat is contained in the urine scent marker like what gender the cat is, whether it is healthy and more. These include food places, sleeping places, hunting grounds, places to sunbathe and more. Unfortunately, it often does not stay at once. Most of the time, this unsightly phenomenon is repeated several times throughout the entire home. Cats cant watch different territories at once and because of that, they are marking with scent or urine in various ways. 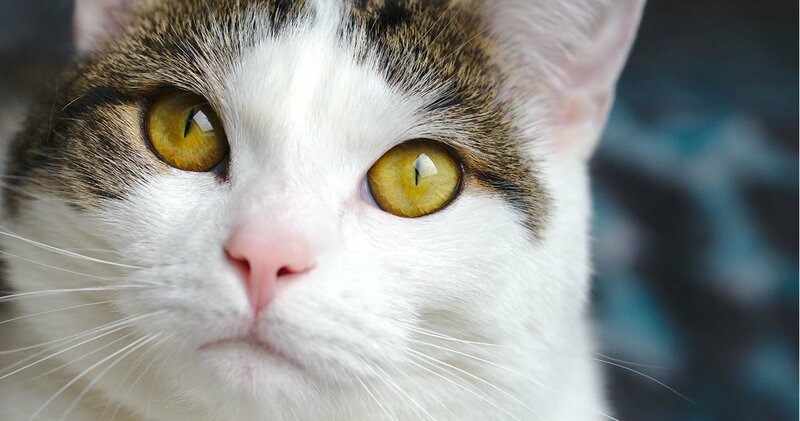 When your cat is spraying or having blood in urine, that’s maybe indicating a serious urinary tract infection or possible cancer issue. This is more known as hematuria, blood in the urine issue. The healthiest and the first move you should do is, take your cat to the doctor. The possible reasons why your cat is urinating can also depend on a medical, mating behavior and stress-related issues. Mostly medical issues appear when your cat remains a long time on his litter box and tries to pee but can’t do it. It can be a urinary infection or a blockage issue. When your cat starts to feel a strong mating behavior, it starts to spray or urinate everywhere at his home. Mostly neutered adult cats don’t have too much-marking issues. The complex social stress behavior of cats often collides with the bypasses and perceptions of cat owners. 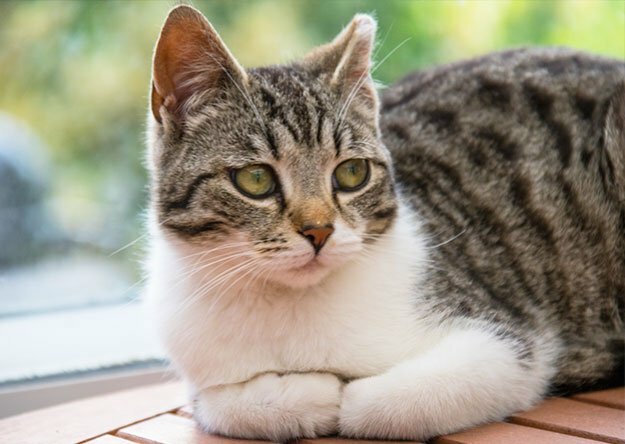 Only the smallest changes to the environment, behavior or situations can stress cats, and they will no longer feel comfortable, they get afraid or change themselves. Cats are starting to put a personal scent on household objects or places by rubbing his self on it, to let the others know that’s my territory. Also, the cats use this rubbing behavior on his own species as well to state there as family or friendship member. Don’t think that cats are only scratching their claws on objects to sharp them. That’s another way of leaving their scent on objects as a marking act for the others. Never punish your cats by doing that because that’s a natural behavior and instinct. Just teach and give them a scratching place or a post. Cat spraying is not the same as peeing. When your cats start to spraying urine and peeing everywhere in your home, try to determine your male and female cat how and why they are doing this. First of all, we need to know and accept that neutered and intact female (spayed) and male cats (neutered) are both spraying urine. Female cats prefer more to urinate in the litter box but can sometimes also spray urine anywhere inside or outside as well. But it is normal that neutered cats spray less and in some cases, it is usual that can be eliminated and reduced as well. Cats spraying urine will be most on vertical surfaces because to do that they need to lift up the back and tail to spray urine. Most of the time cats are going to sit on horizontal surfaces to pee because there is more comfort to do this on surfaces like floors. When your female or male cat doesn’t pee in his litter box, don’t think it is not clean enough whereas what they do is urine marking challenge at this point. Where Do Cats Spraying And Urinating? The cats most preferred location to spray and urinate marking are listed below. Best top tips for avoiding, controlling and stopping cat spraying, marking and urinating in the house. There are many ways to stop cats from spraying. First try to understand your cat’s main problem, such as a medical condition, stress or simply because of its age. Here are some things to think about how to stop cat spraying. If your cat doesn’t like this particular cat toilet you bought for it, there is a possibility that the cat won’t use the cat litter box. The hygiene of the cat litter box. Cats would not use a dirty cat toilet, be sure to keep it clean. The number of cats you have is important as well because cats can sometimes be self-centered and possibly they don’t want their cat litter box to be used by other cats as well. The location of the cat litter box is also important. You don’t want to put the litter box in a place where your cat wouldn’t feel comfortable. If your cat has sprayed or urinated outside the cat toilet, you can move the cat litter box there. Maybe your cat will prefer to pee or mark into the cat litter box new place. Some cats don’t like competition. If there’s a new cat in the house, your cat may not like it and will sometimes start peeing around. You can put them for a while in different places. Before you place new furniture and bring your cat into contact with it, you should ventilate it for a few days until all chemical smells have evaporated. Ventilate freshly renovated rooms well before you let your cat in. A pheromone atomizer can help relax the cat. 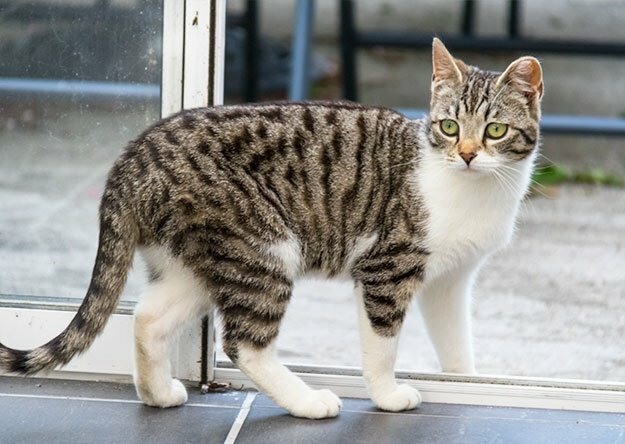 Install a safe cat flap so foreign animals can’t enter your home. In the event of a move, you should limit your cat to a room of your new home while unpacking and setting up everything. Install a pheromone atomizer and give your cat free access to food, water, a sleeping place, a toilet and space to climb and play. Reduce stress for your cats by giving them always access to water and food at all times. Use a cat litter box with a deep ground as possible, filled with a thick layer of mineral cat litter and placed it where no one can disturb. It’s worth trying these methods to stop cat spraying as a first act before contacting a professional cat doctor. 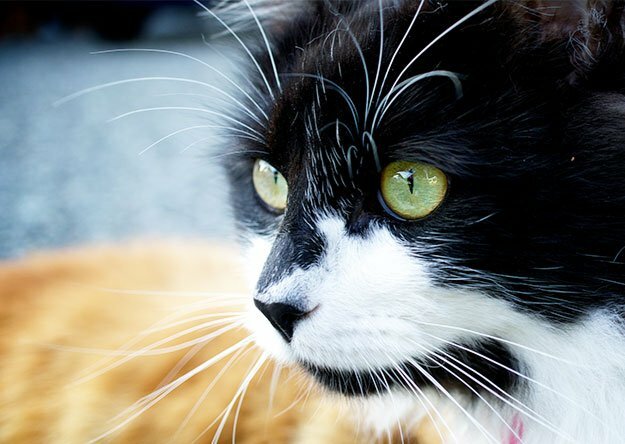 If these methods described above doesn’t work on your cat, you should contact the nearest vet. Previous articleWhat Is Intermittent Fasting And How Is It Applied?